After an eventful month of traveling the east coast to spend time with friends and family, it's nice to be settled again (for a little while anyway!). Because San Francisco, a city near the top of our travel wishlist, wasn't available for assignment, we settled on Fresno. 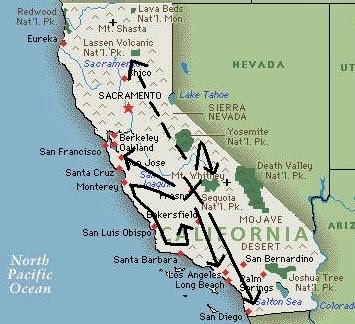 Fresno isn't San Fran, but it's three hours from not only San Francisco, but also Los Angeles. It's even closer than that to the beaches of Santa Cruz, Monterey, and Big Sur. It's also right on the doorstep of the Sierras with all of its parks and recreation areas like Kings Canyon, Yosemite, and The Sequoia National Forest. 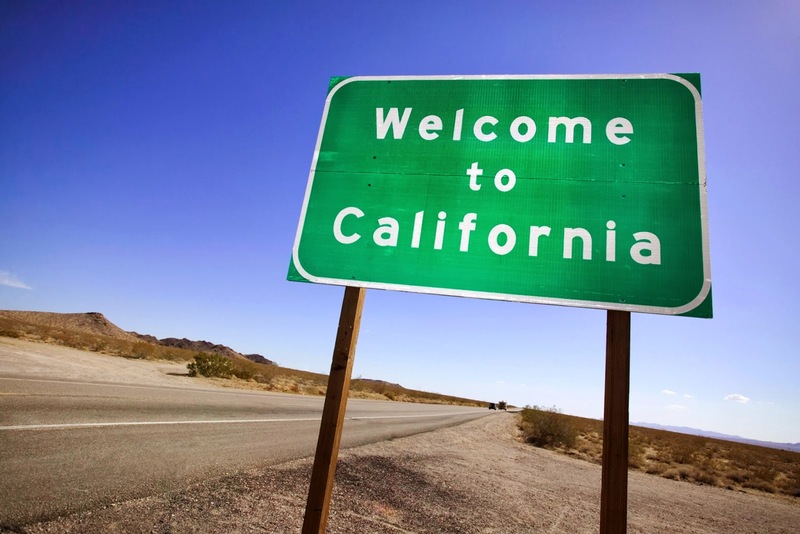 Having never been in California, we're excited just to be in the state. We based our decision to move to Fresno on its location in California without doing a lot of research. When we first got here, we were very disappointed. Partially because living in major cities like Chicago, Dallas, and Philadelphia had spoiled us, but also because we had unrealistic expectations. Fresno, despite being one of the largest cities in the state (5th) with around 506,000 people, isn't the sunny, healthy, progressive type environment many east coasters imagine while thinking of California. The air was so smoggy when we arrived it impacted our breathing. Much of the city is depressed and unsafe. The "nicer" part of town where we live is suburban sprawl with miles of every conceivable chain store, chain restaurant, and strip malls that all look the same whether containing a restaurant or a doctor's office. There are fewer vegetarian restaurants than anywhere we've lived during our travels and many of the restaurants don't even have vegetarian options. Once I got over my initial disappointment, I started to see a few things that are great about the city. It's not pedestrian friendly, but there are bike lanes everywhere. The city has a Whole Foods, a Trader Joe's, and a Sprouts. The fruits and vegetables here are cheap and delicious. They have a number of farmer's markets. We found an amazing salad bar already (Sweet Tomatoes). This may actually be the first city we "fail" in our final evaluation, deciding that we won't ever live here permanently, but it's still in California and the city still has time to grow on us as every place we've been so far has. There is enough here to keep us busy for three months and we're more excited about seeing what's nearby. Here are a few pictures and notes from our road-trip to Fresno. We started in northeast TN driving in long 12-14 hour segments, but took our time between legs, stopping in St Louis, Denver and Las Vegas for up to two nights each. We spread 40 hours driving time over 4 legs and 6 days. St Louis! I didn't expect much from the city based on what I thought I knew about its economy and crime rate. We had nixed a trip from Chicago after doing some research and not being impressed. But, it was great! Just the right amount of play, party, and sight-seeing for the three days we were there. Fairly inexpensive while still offering quality. The City Museum is a "playground" for all ages. It offers both indoor and outdoor climbing, mazes, a 10-story slide, a ball pit, and a bar so you can warm up with a fireball shot between adventure. Those are real people climbing through the wire tube at the top of the picture. The Gateway Arch was amazing in person due to its massive size (look at those people in the center right of the picture). The view from inside the arch and the trip up wasn't so spectacular because of the tiny windowless pods that take you to the small observation deck with its slit windows. Sunset view was nice, but we've been to so many higher observatories, that the view of St Louis from the 360 lounge we went to the night before was just as enjoyable. 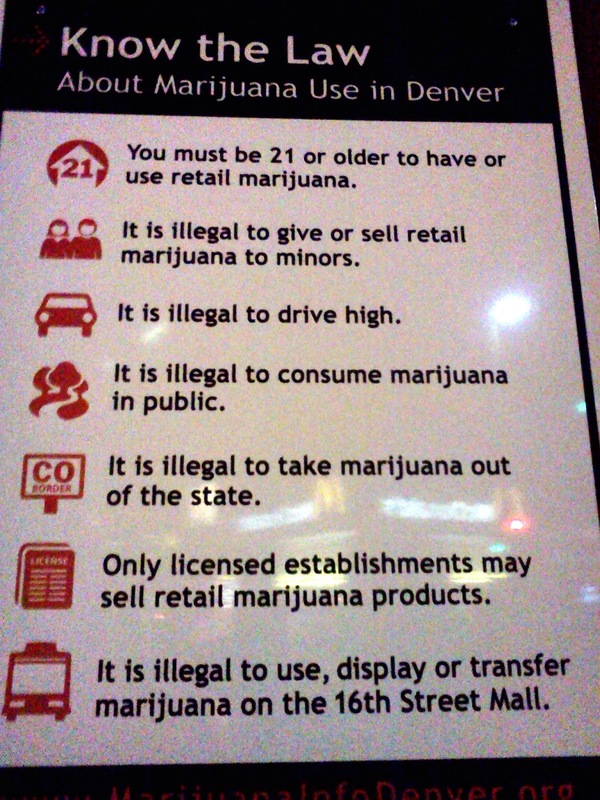 Made it to Denver on the 1st of the year just as marijuana was going legal. I snapped this picture outside of our hotel on the 16th St Mall. We weren't here long enough to enjoy the city because we ran into the blizzard in Kansas (the blizzard that was about to devestate the eastern half of the country) and spent most of our allotted time in the car. What I saw of Denver looked neat. I'd like to go back. Taking a break in the Rockies to enjoy one of the many scenic view areas. The view through the Rockies was full of skiers, small ski towns, and snowmobilers. We came to a dead stop for about 30 minutes due to "avalanche control". The views through the Rockies and into Utah were spectacular with ice, snow, and mountain passes sometimes shared by the double-deck highway, the Colorado River, and the train line. Utah was desolate with very little signs of life or even gas. At one point we drove 12 miles off the highway to find a gas station (this town literally had one pump) despite have filled up at the last available station. Our Jeep doesn't get the best gas mileage, but still, without cell phone service, we were a little nervous watching the gas meter a few times. We were in Vegas for three days for my birthday. I'd regretted not riding the NY, NY coaster last time we were there, so we remedied that. We also finally made it out to the Fremont Experience where I was hoping to zip line over the crowd, but they were behind schedule on building the new lines. Saw our first Cirque Soleil show, KA with its rotating, vertical stage. This is a picture taken in Nevada on our trip between Vegas and Fresno. It was an interesting area because it was mostly barren, but the abandoned houses we did see between cities were covered in graffiti. It was picturesque in a way I hadn't seen before. All the signs about unsafe radiation levels left from nuclear testing done in the 50's and 60's scared me away from stopping for too long for pictures. They call the towns and people here "downwinders", and I was stupid enough to sit through "The Hills Have Eyes" a few years back. After days of snow, ice, and desert, it was great to come down into the California Valley to trees and color! I'll post more on California and Fresno once we explore some more!